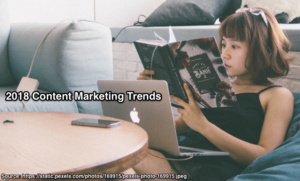 2018 B2C Content Marketing Trends reveal that business use of content continues to evolve. 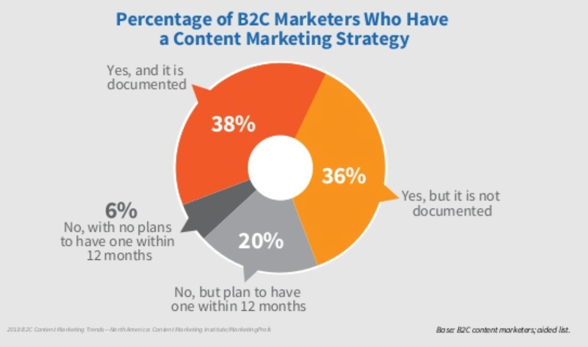 38% of B2C marketers have a documented content marketing strategy, almost the same proportion as B2B marketers. Another 36% have an undocumented content marketing strategy. What’s surprising is that 75% of marketers attribute their success with content marketing to their strategy! Convince & Convert’s Jay Baer recently documented his content marketing strategy. While Baer may attribute it as a cobbler’s children issue, but what about the rest of us? A deeper examination reveals that many content marketing resources are limited often with small headcount. Therefore it’s difficult to rationalize time spent on documenting your strategy. Before using this excuse, Orbit Media’s Andy Crestodina found that his agency saved time when they documented their content marketing mission statement. Don’t take the words of Baer and Crestodina–invest a few hours in documenting your content marketing strategy. Share your content marketing strategy and get buy in from your senior executives making any necessary changes. Take my word for it–people have an easier time changing something that exists than coming up with something new! Then share it across your organization. Use the opportunity to reach out and have lunch or share pizza. This will help you to build relationships and discover where you can work with others across your business. This increases your content marketing budget without spending a dime. B2C marketers spend 26% of their marketing budget on content marketing. While this percentage may seem low, close examination reveals that it doesn’t include paid promotion and amplification, search and/or influencers. It’s likely that these items are included in other areas of marketing. Roughly a third of B2C content marketers don’t outsource any part of the content marketing process. 50% of B2C content marketers outsource content creation. For firms with a documented content marketing strategy, branding guide and defined marketing personas, this is worth outsourcing since it’s time consuming and may require specialized skills like video and audio production. The challenge is ensuring integration with your search strategy. 26% of B2C content marketers outsource their content promotion. This makes sense if you can integrate your content distribution with your social media, influencer and other paid promotion. B2C content marketing is becoming full fledged below-the-line marketing. Unlike branding, content marketing helps businesses to attract an audience, support their pre-purchase information needs, and close sales. Content marketing still incorporates branding elements but it’s not the main focus. 85% of B2C marketers focus their content marketing on building their audience. This is a tactic straight out of Joe Pulizzi’s playbook; he laser-focuses on building his house file. Owning access to your audience is key. It reduces your distribution cost and is part of your business assets. 68% of B2C marketers create content for their audiences versus their brand. Among best-in-class B2C marketers, this percentage increases to 84% and decreases to 43% for worst-in-class B2C marketers. This makes sense since, at its best, content marketing provide prospects with the information they need to make purchase decisions. Focus on top of the funnel content to answer customer questions. Provide cyclical content to maintain and deepen customer relationships. 96% of B2C content marketers use non-video social media. 76% of B2C content marketers use video. 67% of B2C content marketers use illustrations and photos. 59% of B2C content marketers use infographics. 37% of B2C content marketers use interactive content. 35% of B2C content marketers use ebooks. 30% of B2C content marketers use case studies. 22% of B2C content marketers use live-streaming. 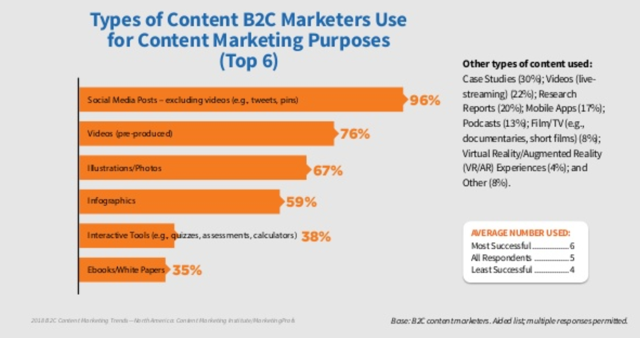 20% of B2C content marketers use research. 17% of B2C content marketers use mobile apps. In terms of social media, to be contextually relevant and maximize effectiveness, each piece of content must be transformed for each specific platform. At its best, B2C social media delivers customer service, allows audience communications, and supports communities. Interestingly, neither user-generated content nor influencer content is on this list. These forms of content contain implied endorsements from trusted sources. Text including articles, ebooks and other short communications is ubiquitous. Key Content Marketing Distribution Options: Social media, website, blog, email and third party media entities. Use Amazon for ebook distribution. Video including live streaming continues to be strong. 67% of people watch video content in public. (NetFlix) . Key Content Marketing Distribution Options: YouTube, Facebook, website, blog and email. Key Content Marketing Distribution Options: Facebook, Instagram, Pinterest, website, blog and email. Interactive content stands out and attracts attention. While successful for consumer media companies like BuzzFeed, it’s more expensive than other content formats. Key Content Marketing Distribution Options: Website, blog and email. Presentations including webinars and live events answer customer questions and show how to use and style your products. Case studies and research educate and show how to use your offering. Also, surface consumer needs. Key Content Marketing Distribution Options: Facebook, website, blog, email, third party media and PR. 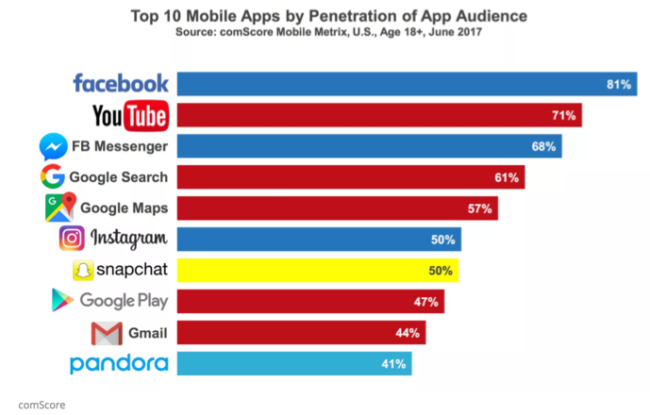 Mobile apps provide content entryways but require downloads and engagement. They work for businesses where they facilitate functionality like banks and pharmacies. Key Content Marketing Distribution Options: Facebook, website, blog, email and app stores. 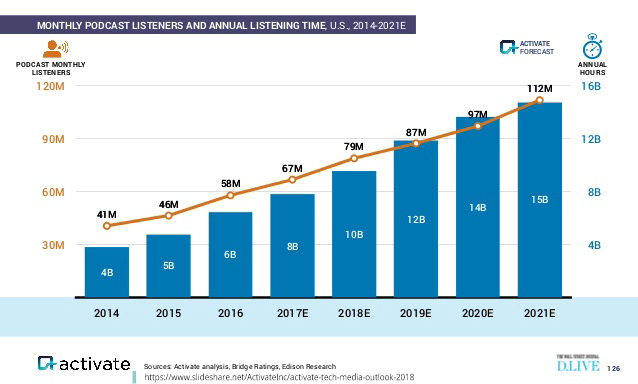 Podcasts including audio books and spoken word recordings give B2C marketers another way to reach commuters and on-the-go audience. Key Content Marketing Distribution Options: Facebook, website, blog, emails. Also iTunes and Amazon for audio books and spoken word recordings. 89% of B2C content marketers use social media. 86% of B2C content marketers use email (newsletters and welcome emails). 70% of B2C content marketers use blogs. Blogs can distribute a variety of content formats including text, images, video, audio and presentations. 42% of B2C content marketers use in-person events. Use your local or retail presence to get prospects to participate in related activities. Also support community activities that help your prospects and customers. 34% of B2C content marketers use print (non-magazines). Other print options include newspapers and catalogs. 27% of B2C content marketers use content hubs (such as micro-sites and resource centers). 19% of B2C content marketers use webinars and virtual events. 17% of B2C content marketers use print magazines. Magazines allow marketers to reach an unplugged audience. For example, Kraft extended their content offering into print. 17% of B2C content marketers use online presentations. 12% of B2C content marketers use digital magazines. On average B2C content marketers use 4 different distribution options. 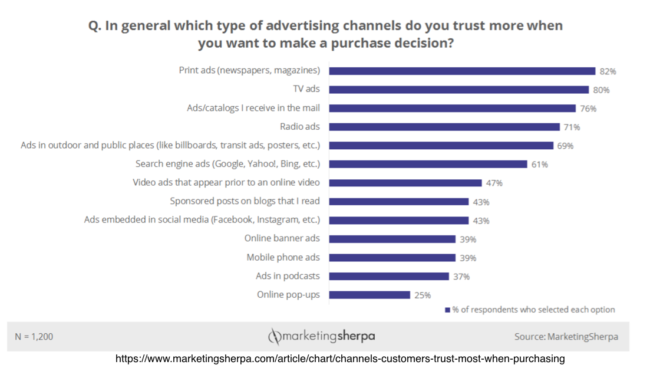 While digital distribution tops B2C content marketers’ lists, older content formats are more trusted by customers according to MarketingSherpa. 97% of B2C content marketers use Facebook. 84% of B2C content marketers use Twitter. 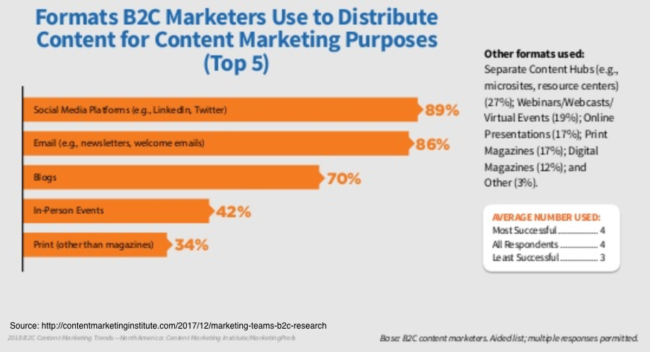 69% of B2C content marketers use LinkedIn. 66% of B2C content marketers use YouTube. 63% of B2C content marketers use Instagram. 43% of B2C content marketers use Pinterest. 37% of B2C content marketers use Google+. 11% of B2C content marketers use SnapChat. 8% of B2C content marketers use Slideshare. 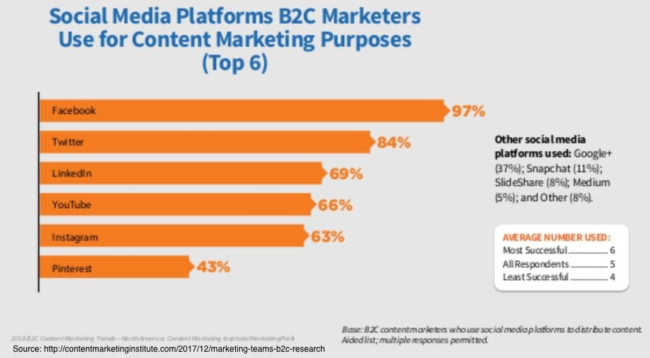 5% of B2C content marketers use Medium. While organic Facebook reach continues to decline, other research reveals that most businesses continue to invest in both organic and paid Facebook use. LinkedIn’s B2C content distribution network is a surprise since it’s a professional network, not a consumer-focused one. That said, LinkedIn is useful for building your employee base and staying visible to attract quality employees. It can also be useful for distributors and suppliers. Often considered a female social media platform, Pinterest is under-rated for its B2C reach. Although they tend to be focused on specific verticals, it’s interesting that there’s no mention of review sites like Yelp. 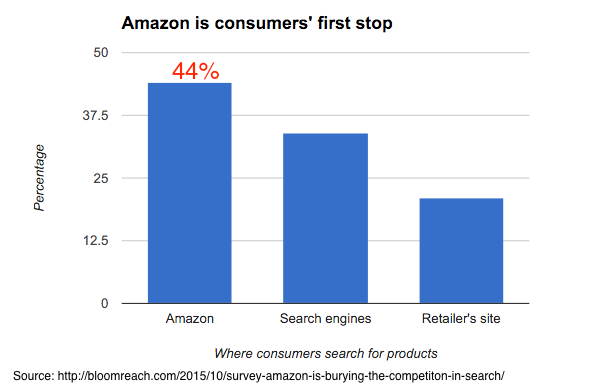 Further, the granddaddy of review sites, Amazon, is the first place many consumers check before doing more research. B2C content marketing continues to be core to marketing success by focusing on prospects, customers and fans to build a house file. Specifically, content marketing has become below-the-line marketing targeted at supporting and driving sales. To maximize your organization’s results, document and distribute your content marketing strategy as part of your overall marketing and business plans. This ensures that everyone is on the same page. A documented content marketing strategy enables you to tap into other people’s budgets across your organization. As a result, you can keep your content marketing expenses down. As content marketing matures, the goal is to become more efficient and to find new ways to help improve sales. 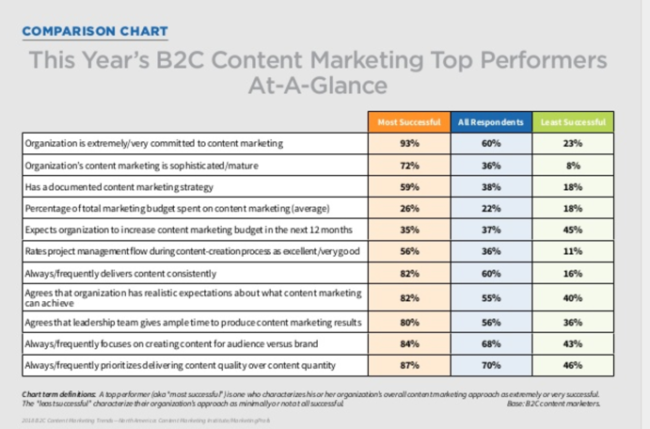 Take a step back and assess where your content marketing efforts are most needed. Further determine where you can improve existing content to give it a fresh new look and updated content. Breathe deep—you’ve got this under control.